You can read the letter in its entirety below or click here for pdf of the letter. The Ebola outbreak in three countries of West Africa is one of the most threateninghealth crises of our day. As of November 7, 2014, more than 13,000 cases had beenreported with almost 5,000 deaths. United Methodists are always responsive to humansuffering as is the case with Ebola, and our response is without regard to race,nationality or creed. As it happens, Guinea,Liberia, and Sierra Leone, the countriesmost affected, are within our church’s connectional system; Liberia and Sierra Leone areeach an annual (regional) conference and one district in Guinea is part of the LiberiaConference, giving usa front-line opportunity and responsibility for palliative andpreventive service. The United Methodist Committee on Relief and the Global HealthUnit of the General Board of Global Ministries are at work on the ground in collaborationwith the health boardsand episcopal leaders of the Liberia and Sierra Leone annualconferences. The United Methodists of Guinea, Liberia and Sierra Leone are strongly committed toefforts with their neighbors of all faiths to safely confront and control Ebola. They invitedtheir fellow Methodists around the world to join in this essential ministry of compassionand healing. This is an international and interfaith cause. The severity of Ebola is so great that special care must be taken to confine the diseaseand to prevent its spread to health workers. And there is great fear associated with thepossibility of transmission to unaffected areas through international travel. Fear is understandable in the face of Ebola,and nations unaffected, or minimally so, areright to exercise diligent care in dealing with travelers from affected areas and withhealth workers returning from Guinea, Liberia, and Sierra Leone. Yet fear sometimesleads to unnecessary stigmatization of any persons from or believed to be from thosecountries or even coming from other parts ofAfrica. We hear increasing calls for travelbans against citizens and even health workers returning from the three countries to theirhome countries. A few governments have banned travelers from those countries andothers are considering full or partial bans. Some political leaders in the United Stateshave urged President Barack Obama to impose a ban. Questions have been raised inour own US church about the advisability of missionaries from any part of Africa visitingcongregations in the US through our regular programof itineration. 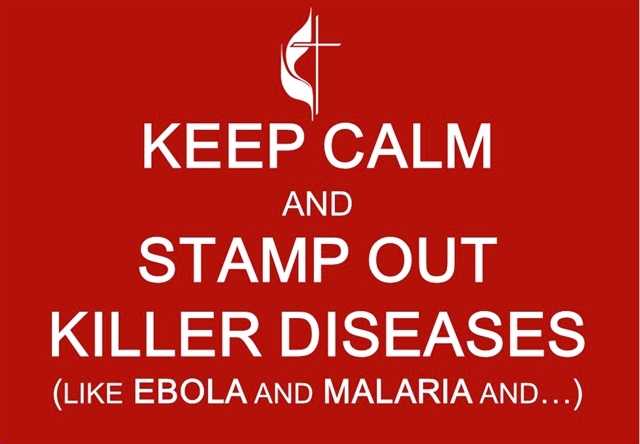 None of our missionaries in West Africa have become infected by Ebola and we praythat this remains the case. Three missionaries, who were in the US when the outbreakoccurred, are returning on their own choice to Liberia this month. While prudence is required with regard to travel from affected countries, we cautionagainst travel bans, which have been judged by airlines to be unenforceable and byhealth authorities as likely to severely restrict the movement of overseas health workersin and out of Guinea, Liberia and SierraLeone. As many as 5,000 such overseasworkers are needed at any given time to bring Ebola under control. We also question the imposition of blanket quarantines of persons, especially healthworkers and others engaged in the fight against Ebola, in the absence of symptoms ordirect contact with those infected. [Bishop Yambasu of Sierra Leone decided againstattending an early November meeting of the Council of Bishops in Oklahoma becauseof the likelihood of a 21 day quarantine, which would have delayed his return to thework of organizing his church to take part inecumenical efforts to stop the spread of thedisease.] Quarantines should be required ona case by case basis when medicallyrequired and then implemented with a great sense of respect. President Obama in a meeting with leaders of religious relief and health agencies onOctober 30 urged faith groups to work within their communities to overcome fear andstigma. He was firm in the belief that stigma and fear have no place in a situation wherehealth workers and others are putting their lives on the line to serve the afflicted andensure the safety of all by seekingto contain the spread of disease. We urge all United Methodists to be realistic and diligent in confronting fear and stigmaas our brothers and sisters in West Africa arein a front-line encounter with Ebola.Self-protection should become an examplefor other persons. United Methodists practice “open hearts, open minds and open doors,” especially intimes of crisis when we are called to offercompassion to our sisters and brothers whoare suffering, and support to those who walkwith them. Faith communities have a special responsibility to stem fearand stigma by providing ordirecting persons to accurate information that can enhance their understanding of bothEbola and means of self-protection without stigmatizing. Accurate information thatincreases understanding and decreases stigma is a matter of urgency, justice, andfairness for all members of our human family. Our Global Ministries agency is preparing or directing our congregations and membersto such reliable information on Ebola in collaboration with international faith-relatedhealth and relief organizations. As a caring community of people, we pledge our continued and unreserved support towork with the governments and ourpartners in the fight toeradicate Ebola from WestAfrica. Our hearts go out to families, communities and all those suffering as a result of theepidemic. We assure them of our prayers for divine assistance as they go through thisperiod of pain, trauma and grief.